The best Filipino professional boxer of all time Manny Pacquiao officially returns in the ring on January 19th, 2019. He is slated to defend his title versus Adrien Broner. The match will be held inside MGM Grand Garden Arena in Las Vegas, Nevada. It will be aired on Showtime pay-per-view (PPV)! Manny Pacquiao who turns 40 in less than a month, last fought on July 15, 2018. He defeated Lucas Matthysse via seventh round TKO and won WBA Welterweight title. Pacquiao has the score of 60-7-2. Adrien Broner 29, (33-3-1, 1NC) has 24 knockout victories in his career. On April 21, 2018, “The Problem” scored a draw versus Jessie Vargas. Broner is very optimistic heading into the clash with Filipino boxing legend. Tickets sale will start on Saturday, November 24th. The initial prices are $100, $200, $300, $500, $750,$1,000, and $1,500. It does not include applicable service charges. If you want to order a seat, you can do that through AXS.com or by phone at 866-740-7711. You can also do that in person in any MGM Resorts International box office. 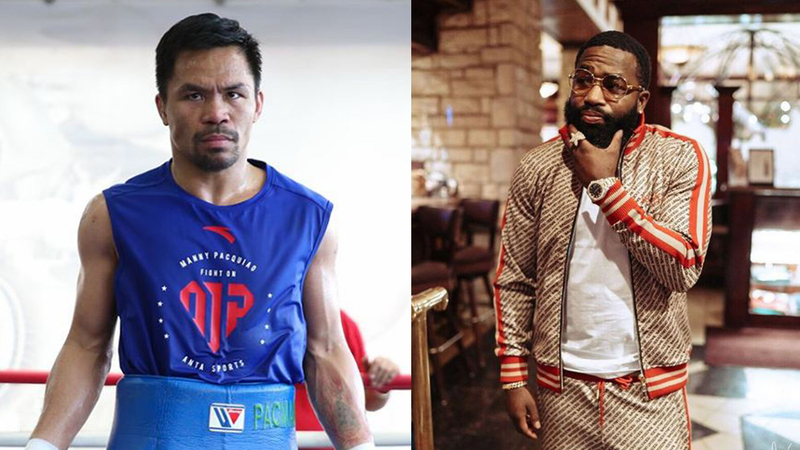 What are your thoughts on Manny Pacquiao Vs Adrien Broner? Do you think eleven years of difference gives an advantage to the challenger? Who is your favorite?